Wow! A great find by a member of the Jane Austen Fan Club. Jennifer Ehle reading Lizzie’s Diary just before the action of P&P starts. About 10 1/2 min of pure joy!Wow! A great find by a member of the Jane Austen Fan Club. Jennifer Ehle reading Lizzie’s Diary just before the action of P&P starts. About 10 1/2 min of pure joy! Elisabeth Lenckos shared a photo. What excellent news, friends! I am honored and delighted to discover, on the five year anniversary of our book’s publication, JANE AUSTEN and the ARTS, that the topic for the 2021 JASNA AGM will be…wait for it…JANE AUSTEN IN THE ARTS! What a wonderful development. I am so glad that the topic first examined by Natasha Duquette and myself is about to take wing! Of course, other great minds have since worked on Jane and/in the arts, e.g. a conference at SUNY Plattsburgh, so that the conference scope promises to be rich and diverse. Well done, @Jane Austen Society of North America, well done Jane Austen Society of North America, Greater Chicago Region. And of course, kudos to our wonderful original contributors! JASNA Eastern Washington/Northern Idaho shared a link to the event: Virtual Movie Night: “Love and Friendship”. We are looking forward to our virtual viewing party on Saturday! Are you coming? If you haven’t seen “Love & Friendship” before, here’s the trailer! 💕Do you think Frederick and Anne will be happy together? There is a Greater Sacramento Chapter 🙂 Who loves Jane Austen? Jane Austen Festival Australia shared an event. #OTD in 1775, 16 December Jane Austen was born. 6. She was an accomplished home brewer. All Things Jane Austen shared a post. Happy Birthday Jane Austen from the Jane Austen Literacy Foundation, where I am a Literacy Ambassador. Improvised Jane Austen is with Shannon Baucus and Kristen Rau. On Dec16th 1775,during an unusually harsh winter,Jane Austen was born at Steventon Rectory Hampshire, the seventh child,and second daughter,of Rev George Austen and his wife Cassandra (Leigh).The baby seems to have arrived a month later than expected. Thanks for the sweet RTs, @JaneOdiwe @CassGrafton, and Happy Jane Austen’s Birthday to you! Happy birthday, Ms #JaneAusten. You’re work was so inspirational, its no wonder #PrideandPrejudice finds itself in our list of 10 brilliant examples of women’s writing. Today, we celebrate the life of an author who wrote romance like no other and gave us some of literature’s most iconic couples – Elizabeth Bennet and Mr. Darcy in Pride and Prejudice, and Emma Woodhouse and Mr. Knightley in Emma. Happy Birthday, Jane Austen! Celebrating Jane Austen’s birthday – 16 December 1775 gave the world one of our most famous authors. Happy birthday, Jane Austen! At 243, you’re a gem! Zell Bianca: Happy Birthday to my dearest author, who I consider like family to me! Dept of Disclaimer: All rights to the appropriate parties. Fair Use in force etc. never ever letting it be!!! Pemberley, Highbury, Norland, Lyme Regis…. JANE, you played for fun and love and for keeps!!!!!!!!!!!! With apologies to the Beatles…all rights to the appropriate parties under Fair Use etc. I would like you all to regency dance, birthday! Take a cha-cha-chance, ask Lizzy to dance, birthday! “May I have the next dance”, birthday!!! Happy birthday to OUR JANE!!!!!!!!!!!!!!!!! A favorite Berlin Cafe—in Christopher Isherwood‘s and David Bowie’s old stomping grounds—hangs only men’s portraits, apart from this one. Happy Birthday, Jane Austen. You are so cool! Austentatious Library shared a video. Blessings on your birthday, Jane! Personally wishing Jane Austen a very happy birthday in Bath this morning! — at The Jane Austen Centre, Bath. Celebrating Jane Austen in Brazil. Jasna N.Y. shared a link to the group: Jane Austen Society of North America – Greater New York Region. The North American Friends of Chawton House are celebrating Jane Austen’s Birthday with the unveiling of its brand new website. Here’s wishing all the Janeites around the world a very Happy Jane Austen’s Birthday ❤! Let us all celebrate Ms. Austen ‘s indomitable spirit, her wit, intelligence and the feminism she espoused, on this day and every day. As long as we take her life’s ambition forward, Jane Austen will continue to be alive in our hearts, minds and most of all, in our deeds ❤. Celebrating Jane Austen’s Birthday, and already in Christmas Spirit at the last danceworkshop in Amsterdam this year! Everybody did so well, very proud of you all!! Jane Austen’s birthday is today, but the presents are for *you*! Three free Pride & Prejudice variations: my Remember the Past, Abigail Reynolds’ Mr. Darcy’s Refuge, and The Darcy Brothers by Monica Fairview, Cass Grafton, Susan Mason-Milks, Abigail Reynolds and me. Happy Birthday, Jane Austen! Happy birthday, Jane Austen, from all your Janeite friends! Dori Salois shared a post to the group: Jane Austen Fan Club. Happy Birthday Miss Austen! Always my inspiration. ¿Por qué leemos a Jane Austen?¿Por qué leemos a Jane Austen? El 16 de diciembre de 1775 nació nuestra admirada novelista Jane Austen. Han pasado doscientos cuarenta y tres años y continuamos fascinados por su obra desde lo intelectual, lo académico y emocional. Una prueba de esto es la existencia de varias Sociedades Literarias que se han creado alrededor del mundo para leer sus novelas, analizarlas, estudiar su biografía y reflexionar en torno a su labor como escritora. La obra de Jane Austen ha logrado trascender el tiempo, constituyéndose como una permanente fuente de interés para teóricos de la literatura y para lectores de diferentes épocas. Leer las novelas de Jane Austen implica una inevitable invitación a releerlas,pues su estilo narrativo, la construcción de sus personajes y su genial uso de la ironía abren un profundo abanico de posibilidades interpretativas. Es pertinente preguntarnos: ¿qué tienen sus novelas que logran este efecto en los lectores? Indudablemente, uno de los aspectos más interesantes de la narrativa de Austen es su prosa y cómo,a través de esta, el lector logra sentirse parte del mundo narrativo de sus novelas. A través del discurso narrativo y del uso del lenguaje (y del silencio), Jane Austen logra describir el espacio en que interactúan sus personajes, y también el mundo interior de estos. Desde este punto de vista, el lector logra sentirse cerca de ellos,asomándose en sus vidas. Las novelas de Jane Austen nos invitan a leer y observar cómo sus personajes piensan y sienten, al enfrentarse a los hechos y conflictos de la sociedad de su época. Leer y releer las novelas de Jane Austen es una invitación a la reflexión, a reír con sus magníficos guiños irónicos,a analizar críticamente su sociedad y la nuestra, a pensar en nuestras propias fortalezas y debilidades de carácter. Leer sus novelas nos conectan con un espacio acogedor y único que nos sitúa en un momento de silencio y goce. Con toda certeza, existen más razones que estas para explicar su genialidad y el por qué leemos a Jane. Creo no equivocarme al afirmar que cada lector debe tener su propia historia y conexión con Jane Austen. En este día tan especial,estas palabras pretenden ser una invitación para pensar: ¿por qué leo a Jane Austen? Y al buscar la respuesta, conectarnos con una de las escritoras inglesas más grandes de la historia para saludarla en su día y agradecer la genialidad de su mente y su pluma. Some of our Volunteer Stewards have made an extra special effort for Jane’s birthday. JASNA Eastern Washington/Northern Idaho is celebrating Jane Austen’s birthday. If all of the Janeites were to have a huge party together, in honor of Jane’s birthday, what or who would you bring? Food? Decorations? JA characters? Where would you have it? Share your ideas and best wishes for Jane in the comments!! Monique Christiaan Van Hecht Muntingh Napjus shared a post. Jane began writing Pride and Prejudice in 1796 and it was first published in 1813. It is said PP is set in 1812, so did the publisher, as they’re of wont today, suggest she update it to a later time-frame, because it was completed long before its publication day. Remember Jane lived through the years of the French Revolution 1789-1799. After all, two of her brothers were naval officers and both were involved in action at sea. Jane had a cousin, the Comtesse Elizabeth de Feullide, Elizabeth sought sanctuary back in the family fold when her husband the Compte went to the guillotine. Elizabeth later married Henry Austen, and no doubt this is why Jane sought escape from the horrors of reality. In retrospect her novels are not a true depiction of her day despite her social awareness and collective impressions of wealth Vs poverty and bettering one’s prospects. She did indeed gloss and paint a picture of rural delights with happy carefree picnics, soirees and much dancing as though the country was not at war with France and in 1812, America. Happy birthday, Jane Austen! Our MN group celebrated yesterday and lucky us, Devoney Looser was our speaker! It’s #JaneAusten’s birthday! Born #onthisday 1775 the great novelist saw her first novel, #SenseandSensibility published 36 years later. Thought we’d celebrate by settling down for the weekend with our 1853 copy – still on the shelves and still getting borrowed! #OTD 16th Dec. 1775 – #JaneAusten born at Steventon. In honour of her b-day, here is Chawton House wedding (1865) of Elizabeth Knight (great niece of JA & daughter of Edward Knight) to Capt. Ed Bradford, former head of London Metro police, who lost an arm to a tigress in India. Jane Austen: some facts you need to know about one of the most beloved English authors. Jane Austen was born in Steventon, Hampshire, a village in southern England. Her parents were George Austen, a rector, and Cassandra Leigh Austen. They had eight children: six boys and two girls. Jane was exceptionally close to her sister, also named Cassandra. Cassandra Leigh Austen was from a higher social rank than her husband and gave Jane Austen the sense of social class that underlies many of her novels. She did not seem to regret the fall in social standing, however, and was a cheerful wife and mother to the family. Jane Austen developed a love for the written word as a result of her father’s large home library. When she wasn’t reading, she was supplied with writing tools by him to nurture her interests along. Later, she was sent to a boarding school with her sister for further education. Jane Austen honed her comic abilities by writing for her family, in particular, her older, Oxford-educated brothers, whom she admired intensely. 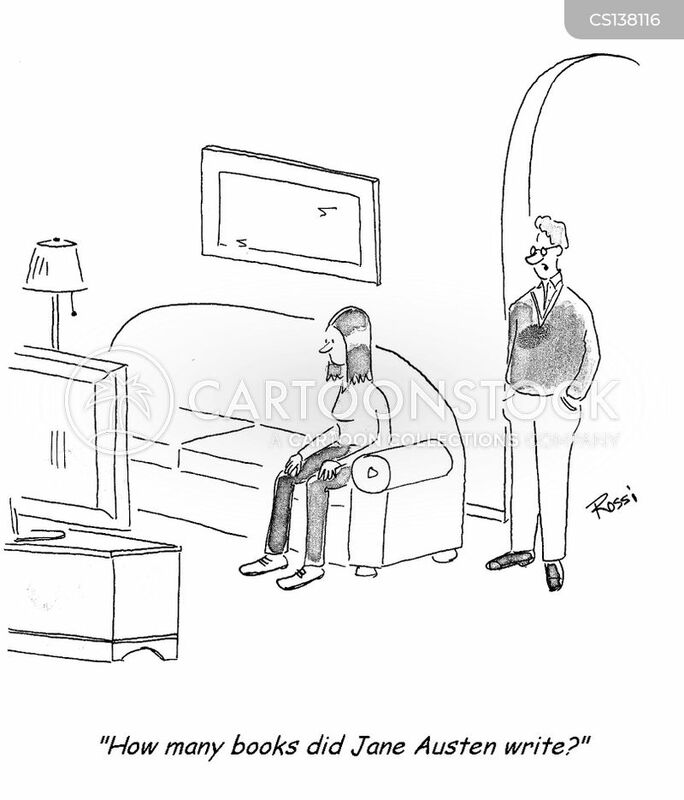 Though the entire family was literary, only Austen would become a published novelist. – Jane Austen, born #OnThisDay in 1775. Get cosy, grab a book, and treat yourself to a proper Sunday of relaxation. On December 16th, 1775, in the rectory at Steventon, Hampshire, on a freezing winter’s day, the rector’s wife, gave birth to a daughter. Karen Doornebos is with Christine B. Shih and Deb Miller. Happy 243rd birthday to Jane Austen! Comments Off on 12/16 Jane Austen’s Birthday!!!! What are you gonna fill your day with Janeite? 😘 Have a happy Monday! “What’s your go-to classic? And your favorite book no one else has heard of? “What moves you most in a work of literature? “What are your favorite movies or shows based on books? “Clueless” (based on “Emma”) and “Mildred Pierce,” both the Joan Crawford and the Kate Winslet versions. Austen in Boston: Oh my goodness! Tension between those three much???? For those who have/will cook/bake yesterday and today…we salute you! 11/19 4 score and 7 wks in review? Pt 1? Ellie Bennett shared her first post. Comments Off on 11/19 4 score and 7 wks in review? Pt 1? Perhaps I underestimated the value of a muddy petticoat as a silent plea for a larger and more attentive staff of servants. It certainly suggests a thoughtlessness for the wearying labour of one’s laundry maid. Samuel Keele is with Jane Austen at Longbourn. 1. Please do not use this page in a vacuum. Most of the usages listed here are explained in greater detail elsewhere in these pages, which is why I have resisted including charts at all until now. These charts are for convenience and reference. I was really happy with the result! Even though it wasn’t the exact same of the series. Synopsis: All of the wit and romance of Jane Austen’s classic 1813 novel come to life in this refreshingly fast-paced and engaging new adaptation of PRIDE AND PREJUDICE. When the independent-minded Elizabeth meets the handsome but enigmatic Mr. Darcy, she is determined not to let her feelings triumph over her own good sense — but the truth turns out to be slipperier than it seems. November 15 at 7:30 p.m.
10/12 Two weeks in review with plenty of Amanda Root! Jane Austen fans! If you were, say, compiling a Spotify playlist of songs that remind you of Pride and Prejudice (the book or any adaptation or any character), what would you put on it? Some great lyrics that may better apply to Rev Collins and Lady Catherine the bug than Mr Darcy…..
And if you can bare a super sweet song “Jane Austen” by Holly Christina. She mentions Mr Darcy, Longbourn, and Pemberley in the song. Lol and Mr Knightley too. I spy Jane Fairfax and Frank Churchill in the photo from Weymouth, UK. Comments Off on 10/12 Two weeks in review with plenty of Amanda Root! Comments Off on 9/28 Week in review…. Comments Off on 9/19 Week in review…. All attendees yesterday enjoyed this energetic performance! Miss Austen at Home: The year is 1815, and Jane Austen has just returned from a visit to The Prince Regent’sLondon residence. The honor of this invitation prompts her to reminisce about the events that led the daughter of a country clergyman to a position of such prestige. She shares her thoughts and feelings about her novels and how their publication changed her life forever. Laura Rocklyn has been bringing historical characters to life throughout her career, both as a performer and a writer. One of her plays, Emma is Presented in Washington City, was performed at the DC AGM in 2016. She has acted at theaters across the country, including the Folger Theatre, Kentucky Shakespeare, Arena Stage, Richmond Shakespeare Festival and Round House Theatre. Currently based in Washington, DC, she is an acting company member and teaching artist at Chesapeake Shakespeare Company and a resident company member and dramaturge with Annapolis Shakespeare Company. Samuel Keele is at Barton Cottage. Two muslin gowns from 1800. Maybe too light for the winter months but very elegant. The first one with netted muslin looks more for an afternoon tea or to be worn in a more informal occasion. The other one is a ball gown, that is why it is so refined and maybe the muslin is of a better quality.